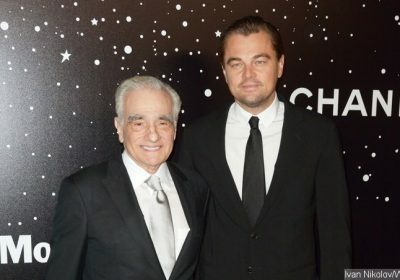 AceShowbiz –Leonardo DiCaprio and Martin Scorsese are taking their Dr. H.H. Holmes project to the small screen. “The Revenant” actor picked up the screen rights to Erik Larson’s 2003 book, “The Devil in the White City: Murder, Magic And Madness At The Fair That Changed America”, through his Appian Way production company back in 2010 and Scorsese signed on to direct the actor as the serial killer in 2015. The serial killer reportedly murdered 27 people in Chicago, Illinois in the late 1800s, although later estimates suggested the death toll was closer to 200. The project marks frequent collaborators DiCaprio and Scorsese’s eighth project together – they first teamed up for “Gangs of New York” in 2002, and they went on to collaborate on “The Aviator“, “The Departed“, “Shutter Island“, and 2013’s “The Wolf of Wall Street“. They also teamed up for “The Audition”, a short film released in 2015 as promotional material for casinos in Macau, China and Manila, Philippines. And in addition to the Holmes project, they are collaborating on an adaption of “The Lost City of Z” author David Grann’s “Killers of the Flower Moon: The Osage Murders and the Birth of the FBI”. DiCaprio will also star as U.S. President Theodore Roosevelt in Scorsese’s “Roosevelt“.